As a result, I’ve become a big fan of marshmallow fluff. No need to roast a thing! True, it’s missing that campfire flavor, but better safe than sorry. 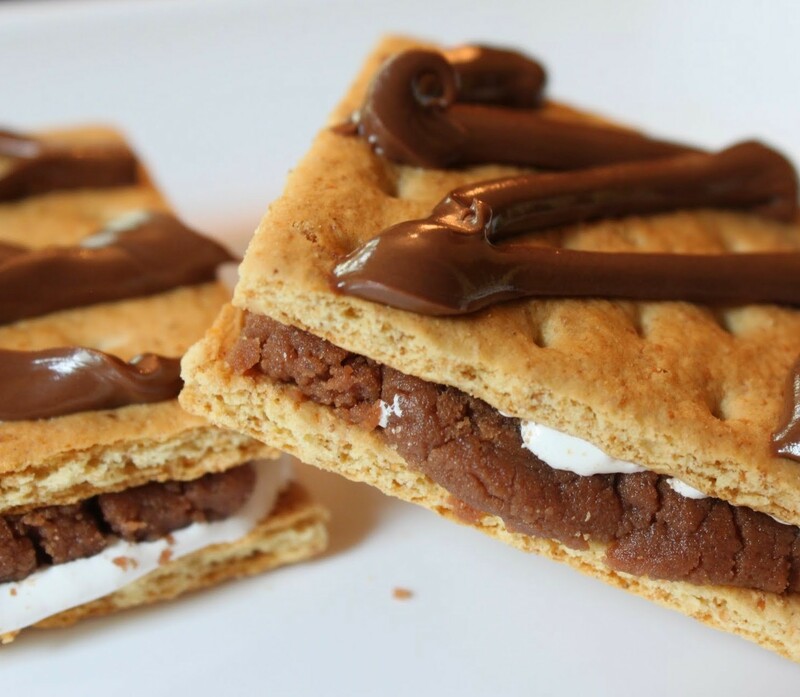 Besides, you won’t miss anything with these s’mores. A thick layer of Nutella cookie dough pairs with marshmallow fluff and graham crackers to make you happy. Why didn’t I think of this before? I’ve spent years spreading Nutella on graham crackers, but I never thought of the cookie dough until recently. 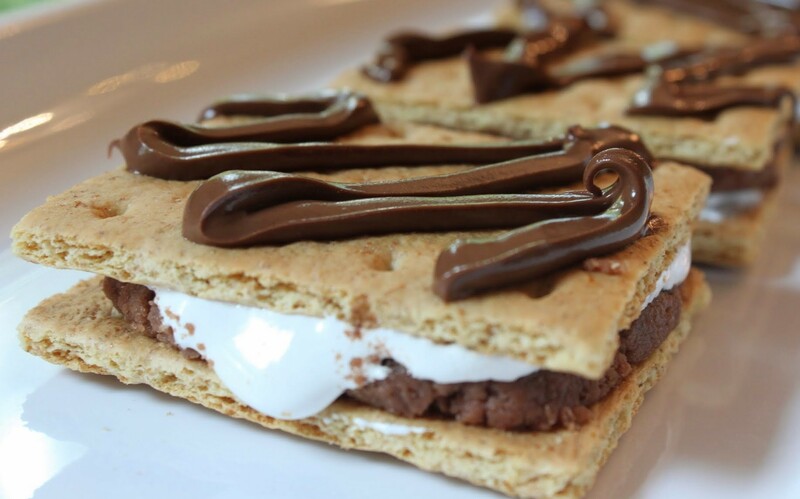 It adds quite a bit of texture and tons of fun to the whole s’more experience! 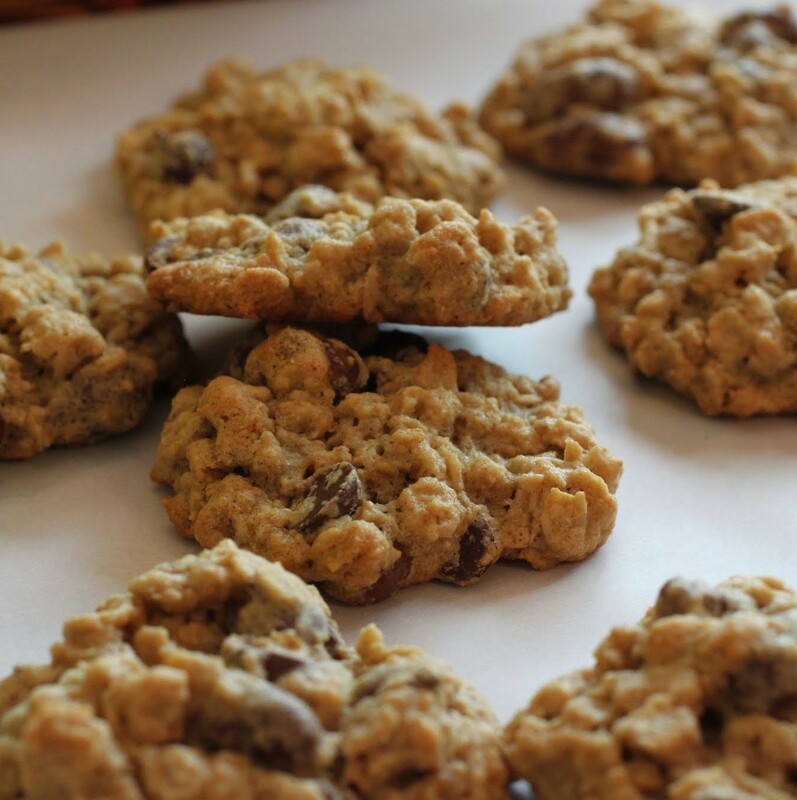 And as always, this cookie dough is egg-free. Even better, the recipe is no-bake, perfect for warm weather! The recipe yields a lot of dough, so there’s plenty to eat off the spoon while you make the s’mores. Or, if you like, you can find other uses for the leftover dough. I’ll be posting one of those ideas Friday! But focus for now on these. Because they’re easy and fun and the perfect way to usher in summer! It’s summer, right? Any day now? Hello? 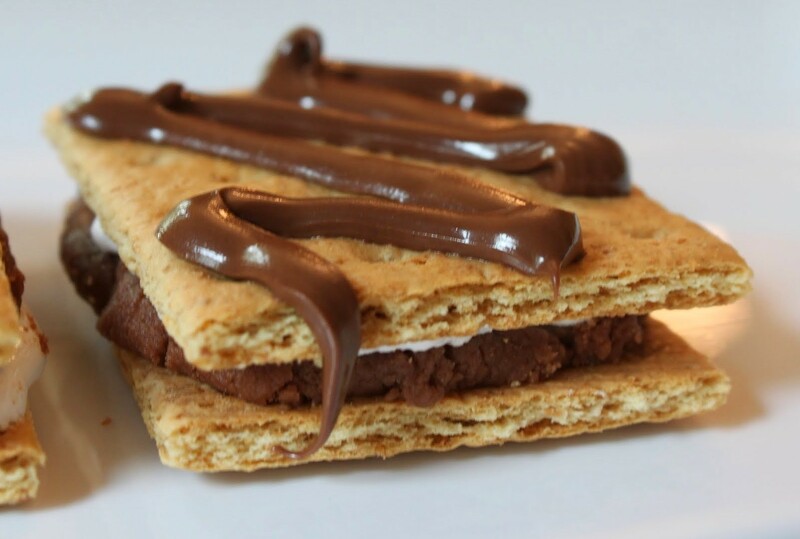 And honestly, there’s no better way to celebrate camping season (and Nutella Week!) 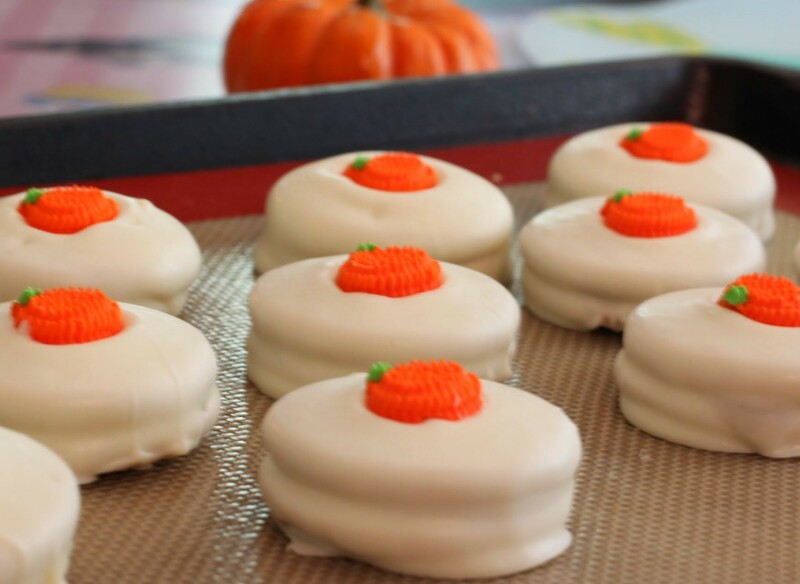 than with this cute riff on a classic favorite. Grab some of these and find a nice patch of grass somewhere! In the bowl of a stand mixer, beat the butter, Nutella and brown sugar until fluffy. Add the milk and vanilla and mix again. Add the flour gradually, beating until a soft, workable dough forms. Take the graham crackers and break into squares. On one side of the graham cracker, spread a generous amount of fluff to cover the area of the cracker. On the other side, press about 1 and 1/2 to 2 tablespoons of cookie dough, working the dough toward the edges. Place the two graham cracker sides together, pressing firmly, and set aside. Note: if you want more marshmallow, spread a layer of fluff on both sides before pressing on the cookie dough. 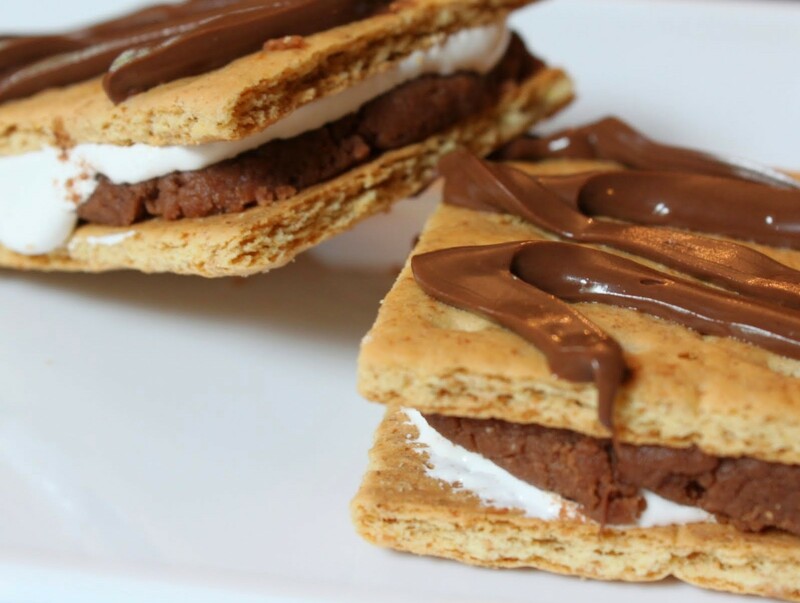 When your s’mores are assembled, pipe some Nutella onto the tops just to be cute! WHAT?! You need to try them now, if not sooner. Seriously. Let me know what you think! I have a feeling I would scream if my vodka sauce got a little too hot! 🙂 We never get marshmallow fluff but I bet it makes amazing smores. This is an incredible recipe! You’ve got the Nutella AND the cookie dough which is pretty much unbeatable in my book. I have a feeling a lot of these will get made this summer! Oh, good, I’m glad I’m not alone. Fire terrifies me! Thanks so much! And try the fluff. It does the trick! These look so amazing! What a wonderful way to kick off this summer! 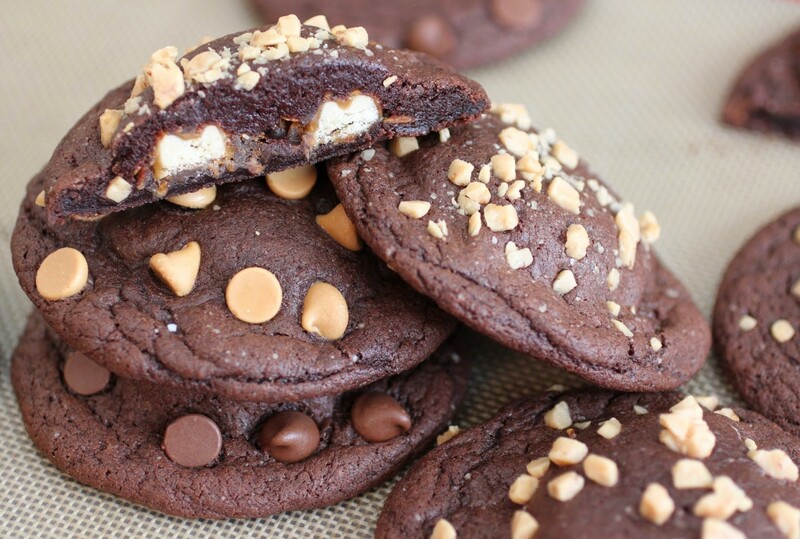 I love cookie dough and s’mores…..so heavenly! You are a genius! Did you know that??? Hugs from my kitchen to yours! You are way too kind! I will have s’mores with you any day! Can’t wait to check out your recipes!